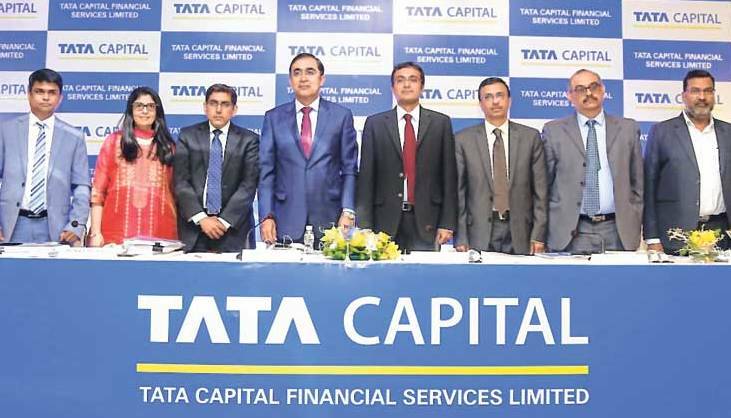 Tata Capital Financial Services Limited (the “Company” or the “Issuer”), a Systemically Important Non – Deposit taking Non – Banking Financial Company focused on providing a broad suite of financing products customized to cater to the needs of various segments, proposes to open on September 10, 2018, a public issue of Secured, Redeemable, Non-Convertible Debentures of face value of Rs. 1,000 each (“Secured NCDs”) up to Rs. 6,00,000 lakh and Unsecured, Subordinated, Redeemable, Non-Convertible Debentures of face value of Rs. 1,000 each (“Unsecured NCDs”) up to Rs. 1,50,000 Lakh aggregating up to Rs. 7,50,000 Lakh (“Tranche I Issue”). The base issue size of Tranche I issue is Rs. 200,000 lakh with an option to retain oversubscription up to Rs. 750,000 lakh (“Shelf Limit”). The Issue is scheduled to close on September 21, 2018 with an option of early closure or extension as decided by the Board of Directors of the Company (“Board”) or the Working Committee of the Board of Directors. The NCDs proposed to be issued under this Tranche I Issue have been rated "CRISIL AAA / Stable" for an amount of up to Rs. 750,000 lakh by CRISIL vide its letter dated August 15, 2018 and further revalidated by letter dated August 27, 2018 and have been rated "CARE AAA; Stable" for an amount up to Rs. 750,000 lakh by CARE Ratings vide its letter dated August 14, 2018 and further revalidated by letter dated August 27, 2018. The ratings of the NCDs issued by CRISIL indicate highest degree of safety regarding timely servicing of financial obligations. The minimum application amount is Rs. 10,000 (Rupees Ten Thousand only) collectively across all Options and in multiples of One (1) NCD after the minimum application amount across all the Options, of face value of Rs. 1000 each after the minimum application. Allotment is on a first-come-first-serve basis (except on the date of oversubscription, if any, when all the investors applying on the said date will get allotment on a proportionate basis). Option I NCDs, interest would be paid on an annual basis at 8.70% to Category I and Category II investors and on an annual basis at 8.80% to Category III and Category IV investors. Effective yield per annum for Category I and Category II investors is 8.70% and for Category III and Category IV investors is 8.80%. Option II NCDs, interest would be paid on an annual basis at 8.80% to Category I and Category II investors and on an annual basis at 8.90% to Category III and Category IV investors. Effective yield per annum for Category I and Category II investors is 8.80% and for Category III and Category IV investors is 8.90%. Option III NCDs, interest would be paid on an annual basis at 9.00% to Category I and Category II investors and on an annual basis at 9.10% to Category III and Category IV investors. Effective yield per annum for Category I and Category II investors is 9.00% and for Category III and Category IV investors is 9.10%. Category IV Investors (Retail Individual Investors) are defined as Resident Indian Individuals and Hindu Undivided Families through the Karta applying for an amount aggregating up to and including Rs. 10,00,000 across all options of NCDs in the Tranche I Issue. Atleast 75% of the net proceeds of the Public Issue of NCDs will be used for the purpose of onward lending, financing, and for repayment / prepayment of interest and principal of existing borrowings of Company. A maximum of up to 25% will be used for general corporate purposes. The NCDs offered through the Shelf Prospectus and the Tranche I Prospectus, both dated August 29, 2018 are proposed to be listed on BSE Limited and (“BSE”) and the National Stock Exchange of India Limited (“NSE”). The Lead Managers to the Issue are Edelweiss Financial Services Limited, A. K. Capital Services Limited and Axis Bank Limited. Consumer finance: The Consumer Finance and Advisory Business Division (“CFABD”) offers a wide range of consumer loans such as car and two wheeler loans, commercial vehicle loans, tractor loans, business loans, loans against property, personal loans, consumer durable loans and loans against securities. 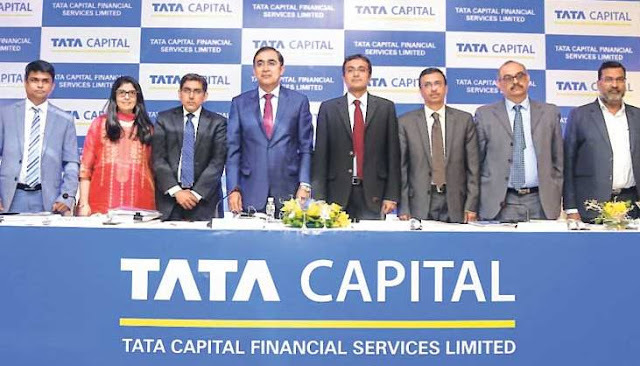 TCFSL is promoted by and is a wholly owned subsidiary of Tata Capital Limited (TCL), which is a diversified financial services company providing services through its subsidiaries to retail, corporate and institutional clients. TCL is the financial services arm of the Tata group, which is a diversified global business group serving a wide range of customers across varied sectors such as steel, motors, power, chemicals, telecommunications and hospitality.